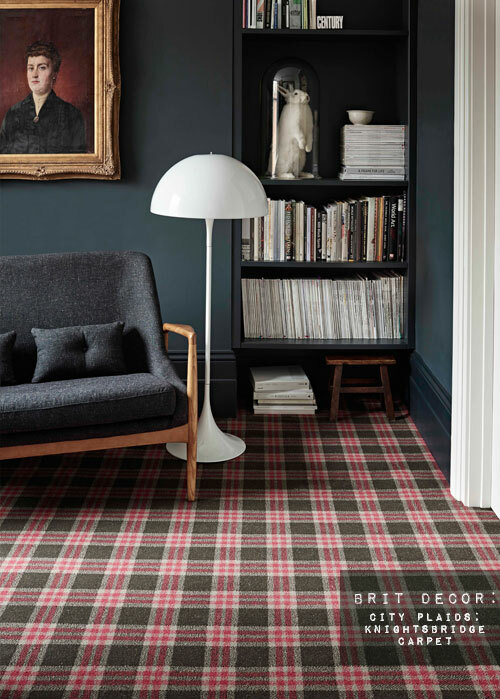 A classic in the making: Since I first caught a glimpse of the brand new eye-catching City Plaids collection from Brintons Carpets, I have not been able to take my eyes away from them. 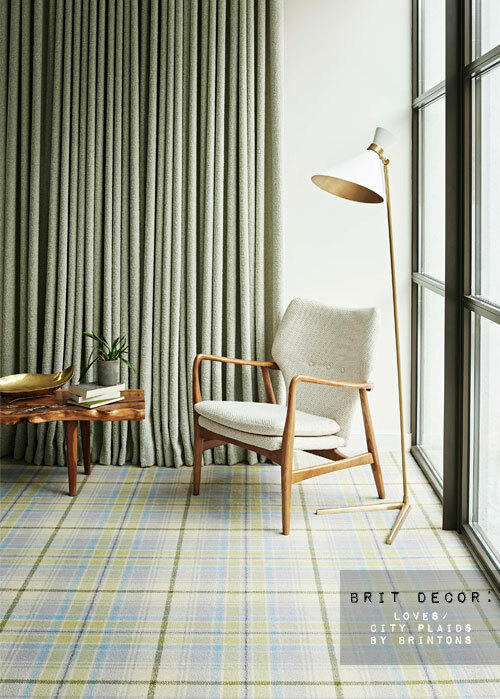 The really striking element to these images is just how well the classic Welsh Plaid and Harris tweed patterns sit within a contemporary setting. As has been the case recently with many design savvy interiors-related businesses, the inspiration for this latest collection has come from the Brintons archives. 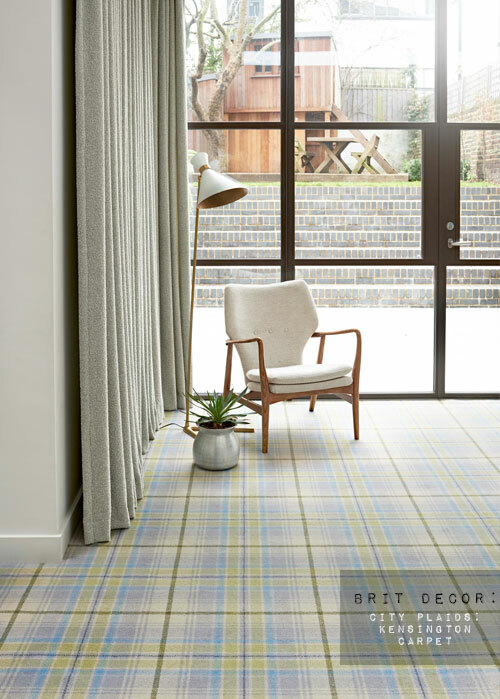 The result is a thoroughly modern re-take on iconic designs with this selection of vibrant tartan-style grid patterns in soothing blues and gentle greys. The collection, with its distinctly urban feel, is available in a total of five colour options - each named after five of the most iconic areas within London; Kensington, Belgravia, Chelsea, Mayfair and Knightsbridge. Quite frankly - I love all of the colours in this range! Brintons will also be hosting a range of talks as well as showcasing their designs at Clerkenwell Design Week. Prices for the City Plaids collection are £80 per sq metre.